What can I tell you, the first new vehicle I ever purchased was a Chevy C20 Pickup. 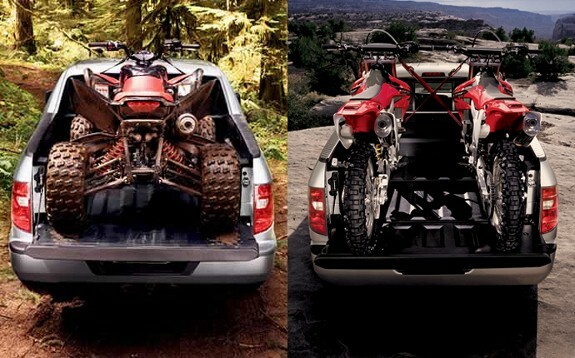 Why does this lifetime truck enthusiasts look forward to driving 2017 Honda Ridgeline? I bought my first brand new pickup truck back in 1973. Just 2 years out of high school, married with a growing family and working construction it was time to purchase a dedicated work truck. My young bride at the time thought I'd lost my mind -- as I traded in the family F 100 Econoline Van I’d spent the last year customizing for a bare-bones ¾ to Chevrolet work truck. Heck, it was bronze metallic, had a 350 C.I. V8 under the hood and a 4-speed gearshift on the floor -- I was hooked on trucks for life. Truck people are an interesting breed. For most of them, driving a pickup truck, be it a conventional cab 2-wheel drive, a “let’s refinance the house” stretch cab Ford F 150 -- 4 wheel drive King Ranch Edition, or comparable Dodge Ram Cummins, Chevy Silverado or Toyota Tundra, is the preferred method of transportation, that’s just how it is. At the time I was rotating my daily driving and hauling duty between a pumped up 99’ Dodge 2500 Cummins Diesel 4x4, and a 2005 Ford Ranger XLT V6 automatic 4x4. Both trucks were equipped to handle the tough transitional driving demands of a general contractor that doubled as a Forester and part time rancher on the weekends. 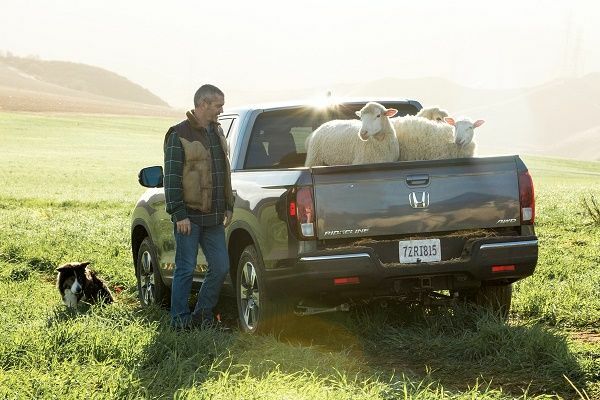 In my mind, Honda Ridgeline was a toy for city driving and the occasional trip down to the beach or up to the ski slopes -- hey, I’ll admit it, is was wrong! The road up to the house was 3 miles long, gravel and generally beat up -- so was my back from driving often empty heavily sprung pickup trucks up washboard tough dirt roads. It was the fall of 2005, and Honda had just released the newly designed and V6 (247 horsepower/ 241 ft-lb torque) powered unibody car platform based 2006 Ridgeline Pickup. Visually it looked much like a ¾ size Chevrolet Avalanche or GMC Denali. 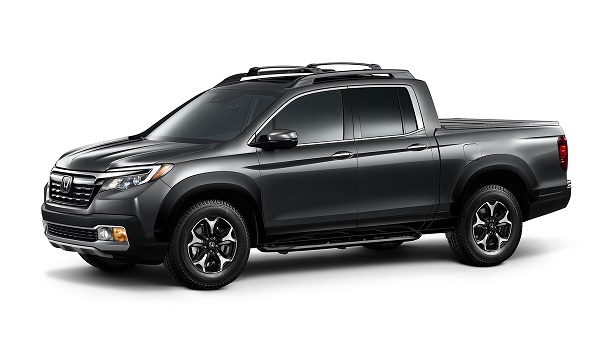 I appreciated the look, but assumed like most truck guys that the Ridgeline, based on its construction platform, was not heavy duty-tough enough for the dirt, much less haul a useful payload or utility trailer -- I was wrong on both accounts. One day while traveling the back roads of California’s Mendocino coast line, I came across a neighbor that had just purchased a white on black Ridgeline, pretty basic but good looking. In the back of his Ridgeline was a Quad on a slant bed ramp.Behind the Ridgeline was a two axle trailer loaded to rack with building supplies. O.K., Chris had caught my attention, and so had the Ridgeline. The mind blower here for me was that Ridgeline was pulling a 17% grade on a loose gravel road with minimal slippage. This was good for me, I was right behind Ridgeline on a nosebleed incline. Although less than a year old. Chris’s Ridgeline had 20,000 miles showing on the odometer, much of it traveled over dirt and gravel roads. On this day Chris carried 800 lbs + the loading rack in the bed while pulling a 3,000+ load. Ridgeline runs in the ice and snow like no other truck on the road today. To put into perspective the kind of driving we were doing in goat country, the elevation rise from the base of Chris’s gravel driveway to the house is no less than 1200 ft in 1 mile. It’s darn steep! Gone was the bone-jarring ride experienced in the seat of a twin i-beam, I.S. or straight axle 4x4 pickup truck. For me, my first ride in Honda Ridgeline was a breath of fresh air as to a no compromise, superior traction ride inherent only to Ridgeline. I truly appreciated the car-like comfort of Ridgeline’s rather expansive crew cab and convertible rear bench. Honda’s 3.5 Liter i-VTEC V6 pulls with the best of trucks, while achieving superior fuel efficiency,(at that time) and near mechanical bulletproof reliability. Next month I’ll be afforded the opportunity to explore in depth the Pilot based 2017 Ridgeline pickup truck. Although still constructed on a Unibody platform, Ridgeline comes back to market after a 2-year hiatus, larger, roomier, more conventional truck looking, more powerful and fuel efficient. I guestimate Ridgeline’s MSRP and fuel efficiency here. Where you’ll discover the greatest difference from the previous generation Ridgeline is under the hood, within a roomier, plusher drive and ride environment, and in Ridgelines expanded array of tech rich drive line management, personal electronics connectivity and advanced active safety features. We’ll get back to you on how she performs in the dirt next month. this truck is a joke. Try and pull a real trailer or go real off roading in it. It will fail like my wifes multi recalled Honda fit. Now there is a POS car. How ya doin' Dave? We have an 09' in the family that I'll put up against any non-modified factory 4-wheel drive on the market today. It's not unusual for Torque News to receive feedback from Ridgeline owners reporting 250,000 trouble-free miles from their trucks in snow country. I'll get back to you next month with an in the dirt drive review for 2017 Ridgeline. Take care. Dave, while this truck may not be for you, it is not a joke. This is a statement that comes from narrow-minded my opinion is the only one that matters kinda guy. We service & own Ridgelines, love them all. Not for every purpose, but I would rather spend 10 hours driving my Ridgeline than your beast. Open your mind, not everyone thinks the same, but ignorance & slamming is no way to earn respect. I have now had mine for 10yrs, it has over 300,000km and I have not had so much as a hiccup minus regular maintenance. It still rides awesome. Regularly pulled 3-4000lb long distances no problem. I live i the great white north where the roads are closed often and drive a dodge ram or Chevy Tahoe when at work. The Ridgeline puts both of these to shame in the snow. I've done some pretty good offloading trips for moose hunting and fishing and the only draw back with this truck is ground clearance. If it had a couple more inches I would put it up against any stock truck. I can't wait for the 2017's to be released. Welcome Chris, thanks for the Ridgeline testimony. I'll be driving the 2017 Ridgeline next week and will post an initial drive impression the 3rd week in May. I'm sure it's not for everyone and given how lack luster sales figures have been I'm surprised Honda decided to make another go of it. My brother n law owns a 2008 and it reminds me of driving some of the old vintage classic cars. You don't drive it you point it in the directions you want to go. It floats on the road rather than feeling connected to it.